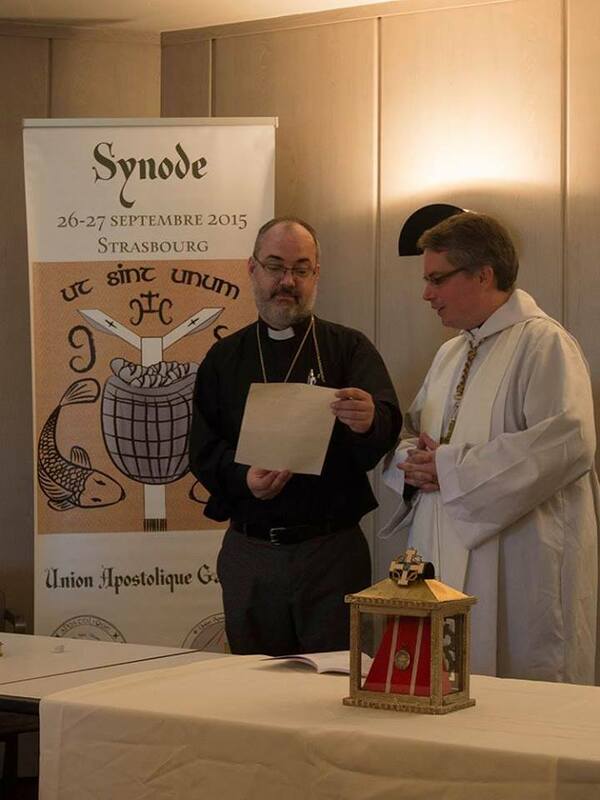 At the Synod of the Union Apostolique Gallicane at Strasbourg, France, Mgr. Raphaël-Magnoald Steck, acting for the Prelature of France and under commission of the Prince-Abbot, admitted Mgr. Sylvain Tremblay and Mgr. 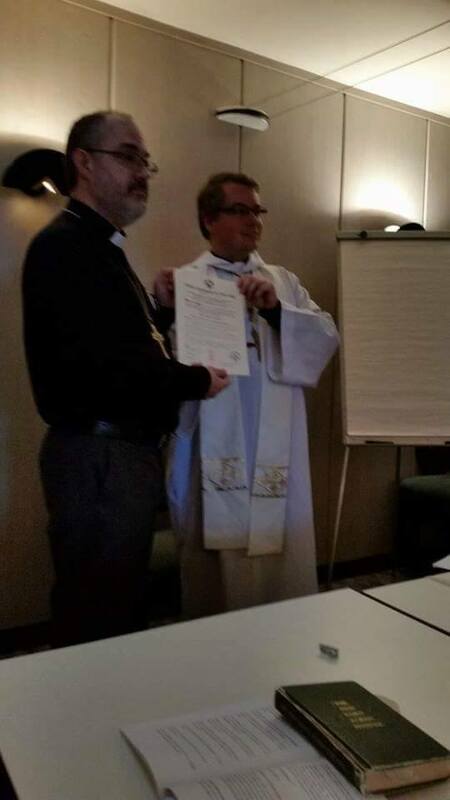 Jean-Marc Poncet (in absentia) to knighthood in the Order of the Crown of Thorns. The photographs show the presentation of the diploma to Mgr. Tremblay.